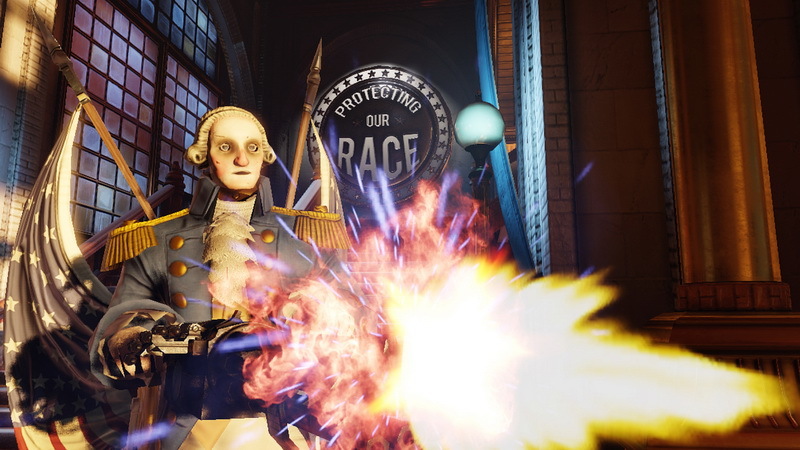 While being extremely late, Bioshock Infinite finally takes off this week. 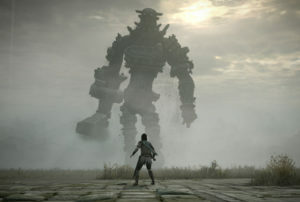 The game has been given the review treatment from a number of international publications, and a general consensus of the game seems to have been reached. And the consensus is pretty damn impressive, as the game currently holds a Metascore of 95 for both Xbox 360 and PC, while the PS3 version sits on 96. On Gamerankings, Bioshock Infinite has a 90% aggregate on PC, while maintaining 94 for both the Xbox 360 and PS3 versions. As the story circles back on itself, you’re left wondering whether redemption cleanses us of our atrocities, or simply invites us to commit greater ones. Once the finale comes, you will want to play again, watching each event and image through the lens of information you can never un-know. 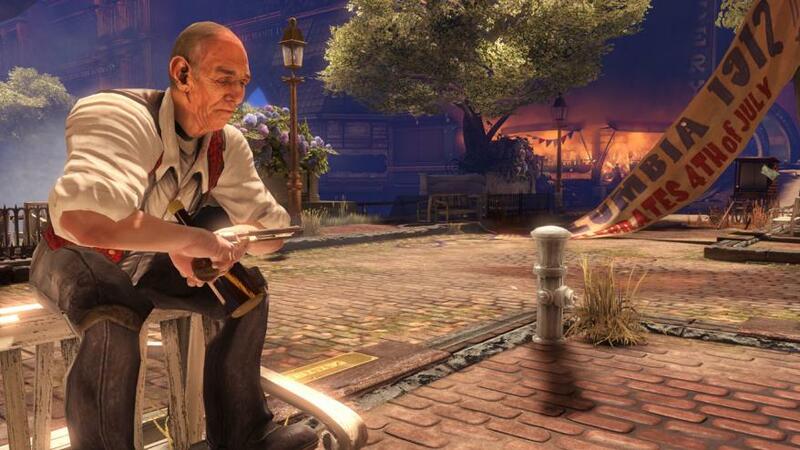 BioShock Infinite is more than just a quality game: it’s an important one. 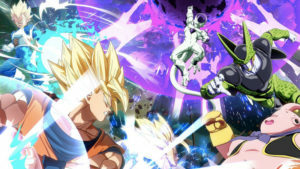 Infinite is more than a new setting, story, and characters; those elements are seamlessly integrated with complex themes, a mysterious plot, and entertaining combat to create an amazing experience from beginning to end. Familiar threads run through it – a lighthouse, a strange city, a charismatic antagonist – but they are homages to the past rather than attempts to recycle it. 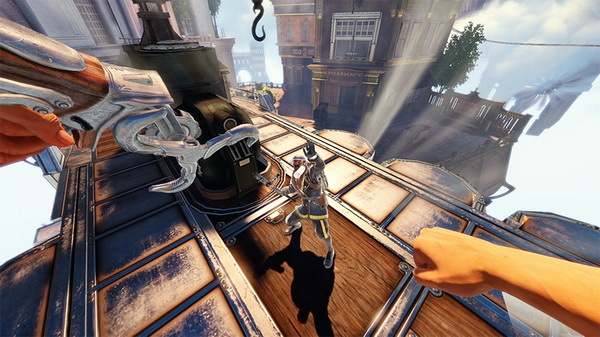 The core of Infinite is unlike anything else on land, sea, or air. Sky-high with character, conspiracy, controversy and chaos. 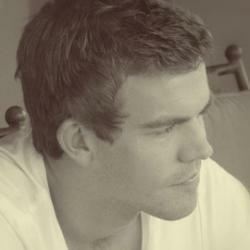 A great all-round shooter, even if it doesn’t innovate as much as expected. 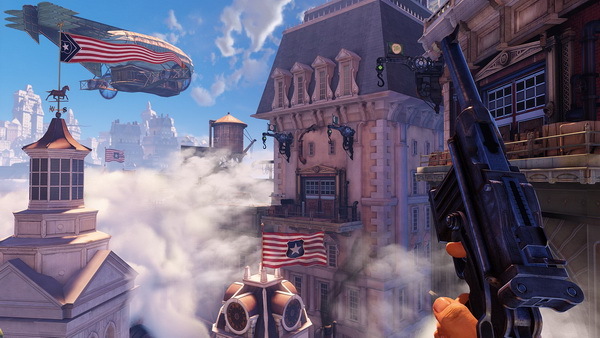 Incredibly, BioShock Infinite delivers on your years’ worth of expectations, then exceeds them. 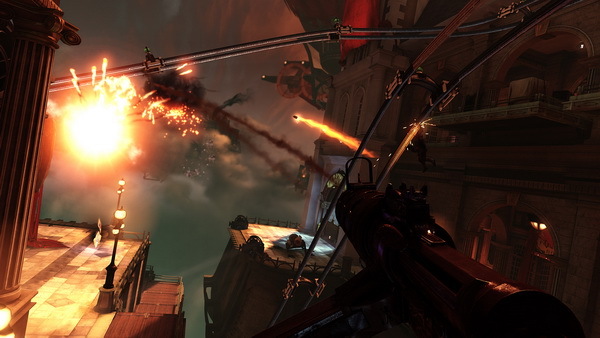 Regardless of your affinity for the FPS genre, Infinite deserves your attention, and it’s the kind of landmark experience that happens only a few times in a gaming generation. Even after the game is over, Elizabeth–and Columbia–will stay with you. Slightly muddled, but it’s a muddle of beautiful scenes and spectacular combat set in a breathtaking place. As frustrating as that is, we can’t wait for the public discussion to begin around Infinite’s story and conclusion. 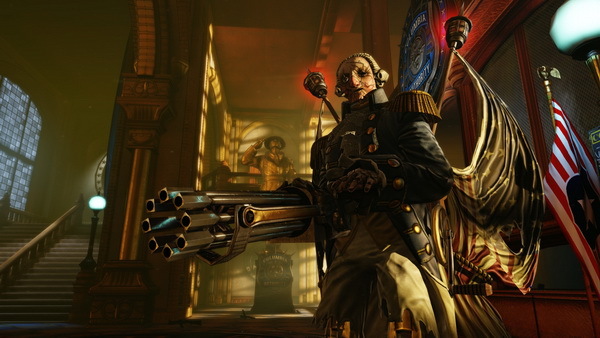 If the game misses its full potential, that’s as much a testament to the ambition behind it. And let’s not forget that the impeccable dialogue, art, sound, acting and cast of characters. 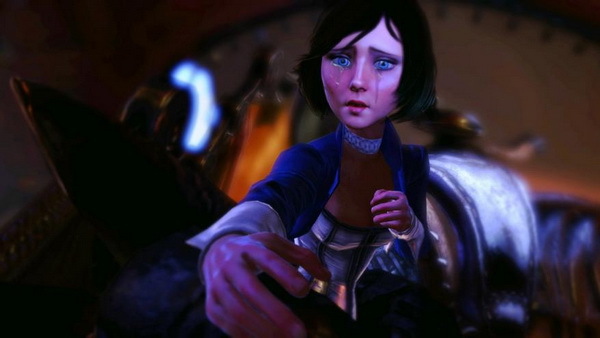 With BioShock Infinite, Irrational feels like it’s leaving all of Bioshock behind. Hopefully that’s not true: we’re not quite finished here, yet. 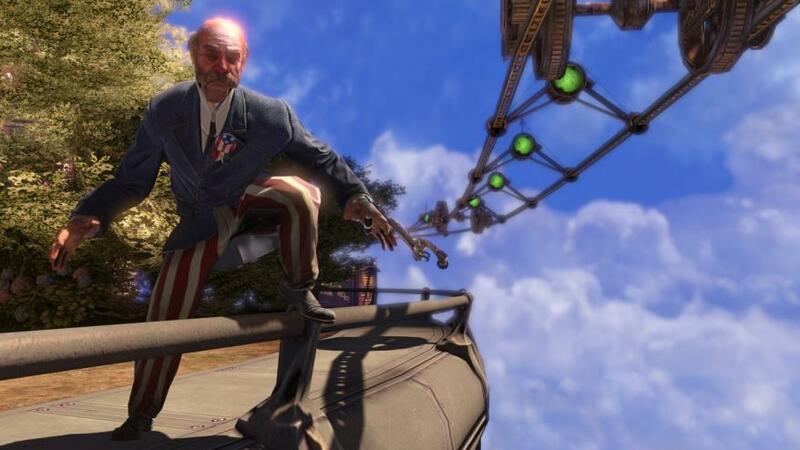 As a game, BioShock Infinite has its successes and its falterings consistent with any suitably complex piece of interactive entertainment. 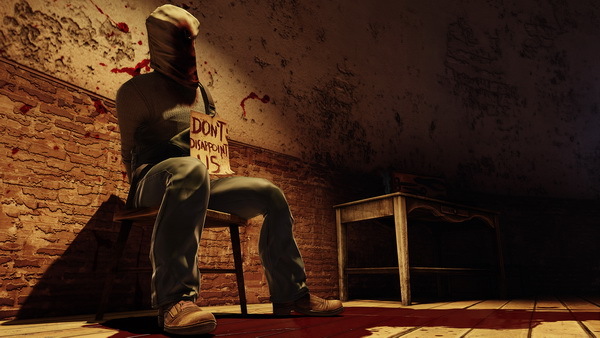 As a story, as an exercise in drawing the player into a believable and relevant world, as proof of exactly what a videogame can mean to a person … Well, I already said it. 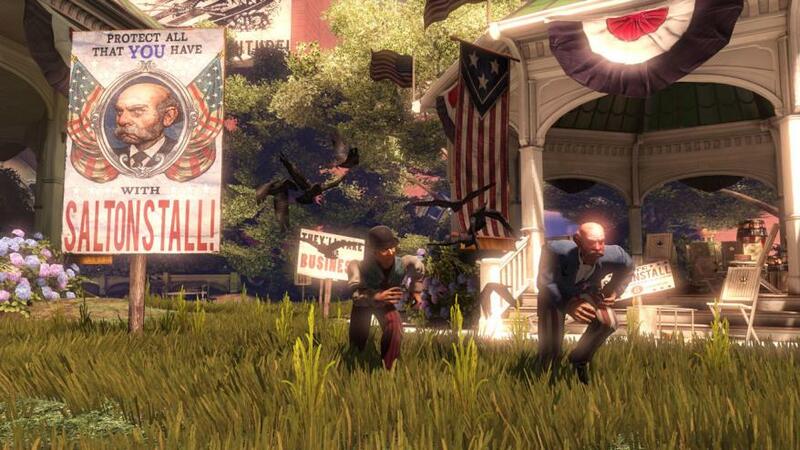 BioShock Infinite is damn near perfect. 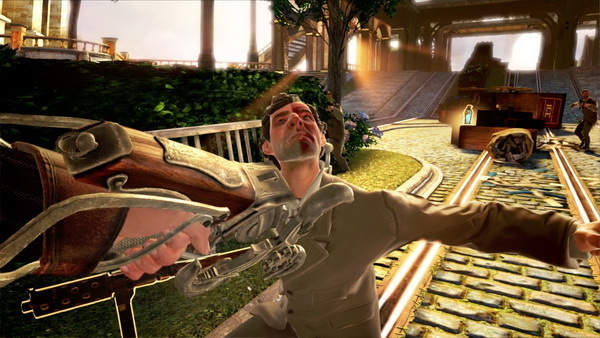 BioShock Infinite is both art-house and grindhouse, managing to offer something for everyone. 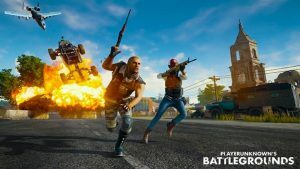 There’s drama, philosophy, and shocking violence, then there’s combat, abilities, and gear — there’s even numerically quantified damage for the stat-obsessed. It’s enhanced by thoughtful plotting and great characters and wrapped up in a beautiful world and calamitous physics. Heady and bloody, it’s a tesseract worth tackling, and even if you can see its seams from time to time, its ambition cannot be denied. Suspend your disbelief, and you can soar to the sky. 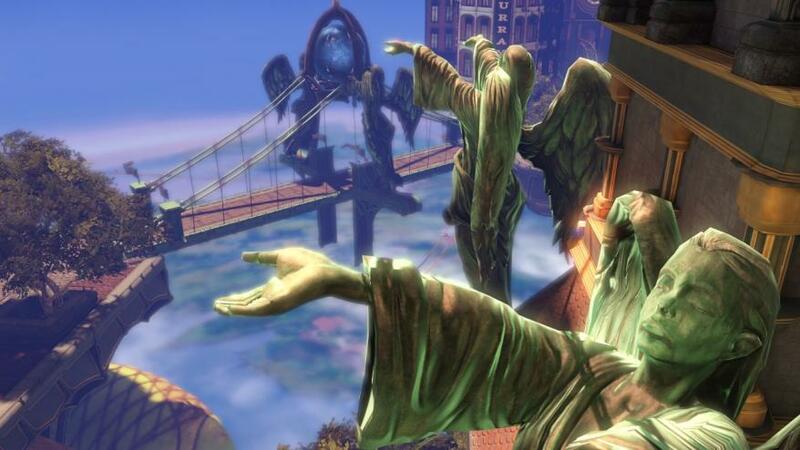 BioShock Infinite is a sequel, in short – more so than BioShock 2. 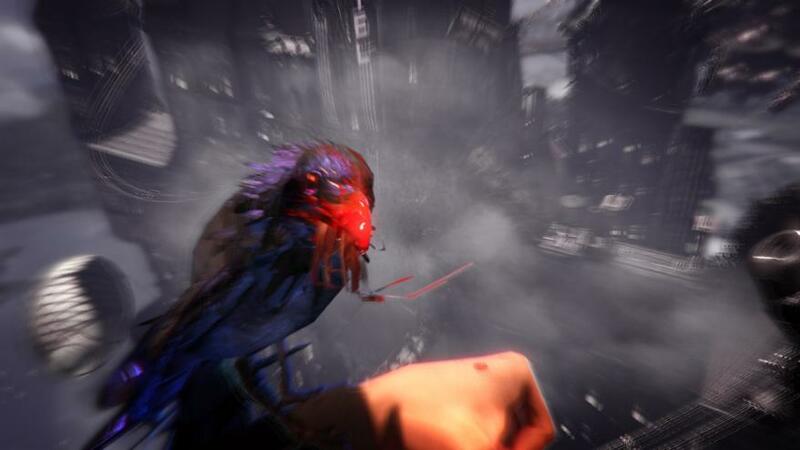 Irrational has made a game in thematic dialogue with its predecessor, with the same interests but different tastes, and one that expands mechanically and technically on what came before. And it’s given us a city in the sky that reflects upon the one beneath the waves. 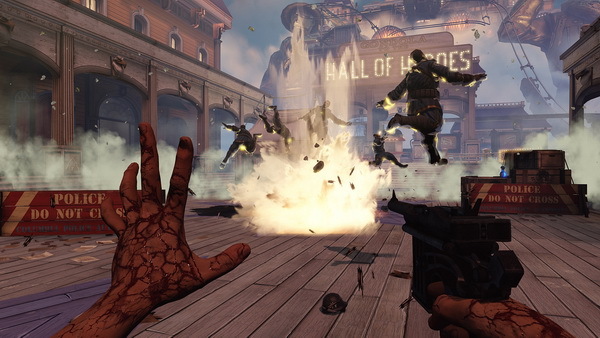 If Half-Life and the original Deus Ex stand as the apotheosis of the narrative-driven shooter, and Bioshock brought the genre to PS3, then Infinite is the latest game to join these hallowed ranks. This is a masterpiece that will be discussed for years to come, and praise doesn’t come much higher than that. 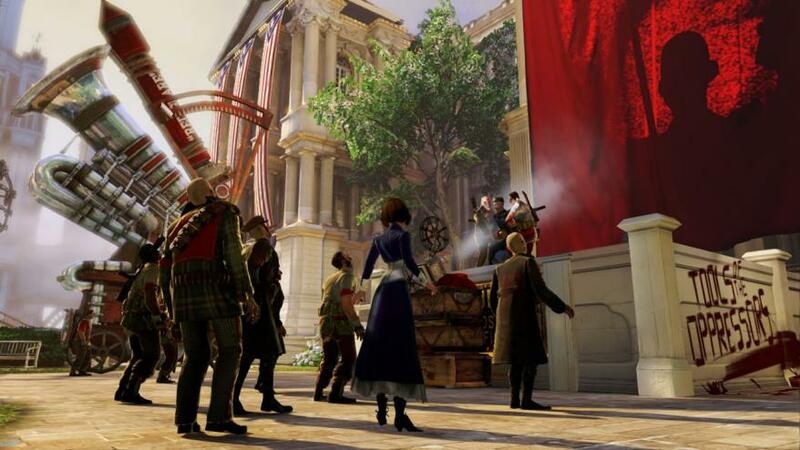 While the end of 2013 will be filled with talk about a new generation of video games, BioShock Infinite’s narrative will stand out as an achievement, helping put a cap on a generation that propelled narrative as a focus for the industry. 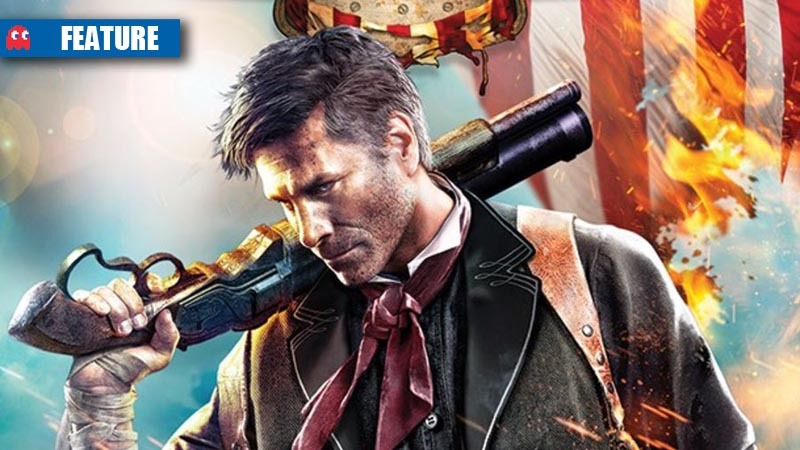 Undoubtedly the finest game crafted by Irrational Games, BioShock Infinite is one of the best told stories of this generation. It simply cannot be missed. 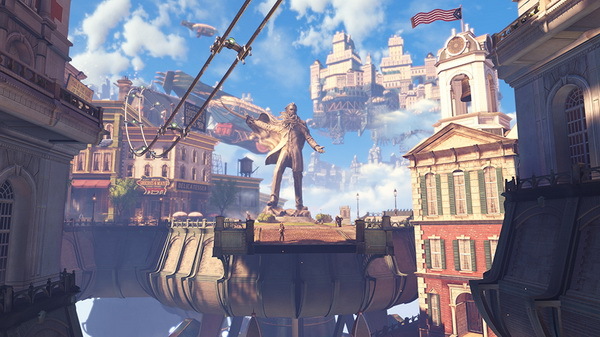 BioShock Infinite might just be one of the most compelling games of this generation. 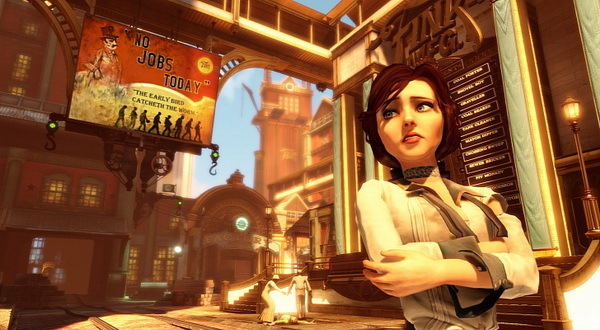 For all its flaws, it has an odd power, an insistence that players find out how the story concludes, and even then the Vox phones dotted around are worth going back for (Preston, Comstock’s ally, in particular). A sense of dread and unease that will linger unless solved, especially where the Lutece family and their sheer oddity is concerned. Elizabeth’s strength drives the story, and her insistent search for the truth nicely counterparts Booker’s shady past.